Trademarks and the Amazon.com Brand Registry – Trademark Attorney | DC Trademarks – Washington, D.C.
As America’s largest online retailer, Amazon.com is a hugely important marketplace. Companies that sell on Amazon need to be constantly vigilant against products or hijacking their company’s brand listings. Amazon’s Brand Registry makes it easy for brands to report counterfeit products or products which hijack a listing to deliver a different product to customers. 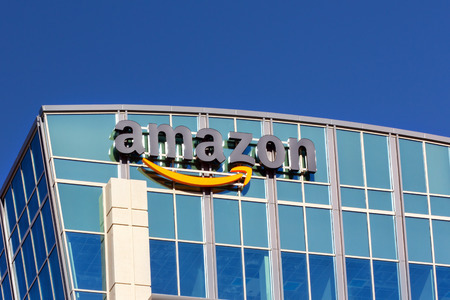 To be eligible for the Amazon brand registry, however, a brand must have a trademark registration on the Principal Register for a Standard Character Mark or a similar equivalent. Logos and other stylized marks cannot be currently registered on the Amazon.com Brand Registry. The registration must also be issued by the trademark office in one of the following countries/territories: United States, Canada, Mexico, India, Australia, Japan, France, Germany, Italy, Spain, the United Kingdom, and the European Union. The brand registry is currently only open for physical goods. This means that downloadable software, including mobile phone apps are not eligible. Also not eligible are: books, music, videos, DVDs, sport collectibles, entertainment collectibles, and used products.